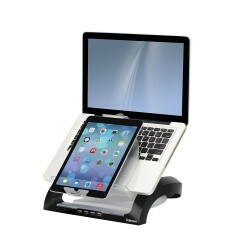 Posturite’s huge range of ergonomic laptop solutions will help you adopt an altogether healthier approach to laptop and tablet use. 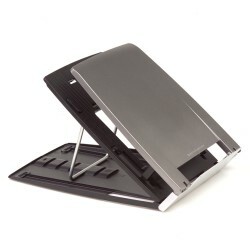 Using a separate ergonomic mini keyboard and mouse; a stand to raise the screen; a stable base on which to work; taking regular breaks to relieve upper body tension; and a backpack to carry the device around will all help to protect against musculoskeletal problems. 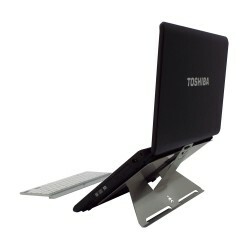 Why use a laptop stand solution? Laptops may be convenient and an essential part of our working life, but show us a laptop user and we’ll show you someone with bad posture. Musculoskeletal problems caused by extended pressure on parts of the body are common place with laptop and notebook users, leading to long-term injuries if used for extended periods of time. 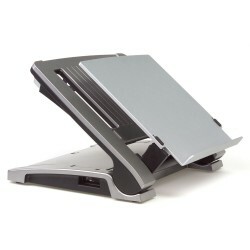 Our portable laptop stands can be used in conjunction with a keyboard and mouse to create a solution that is both comfortable and ergonomic. 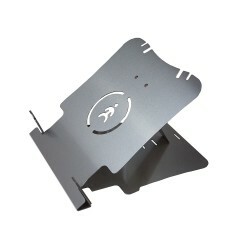 In particular the laptop stand ensures the laptop is at the correct height and angle for the user, preventing hunching over the screen that causes neck strain. 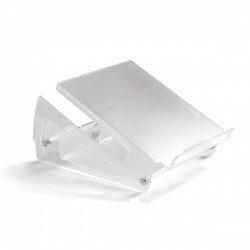 Also because most of our laptop stands are lightweight, they can be folded up and carried in the laptop bag to the place of work. 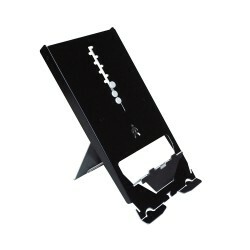 Then they can be easily folded out and adjusted on the desk ready for use in less than a minute. 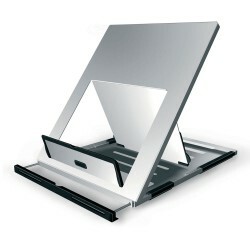 Laptop stands are a very simple and effective solution – and this is a reason why they are so popular. 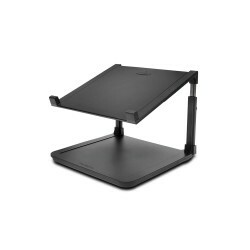 Q: What other ergonomic equipment do I need to use with my laptop stand to turn it into an ergonomic solution? 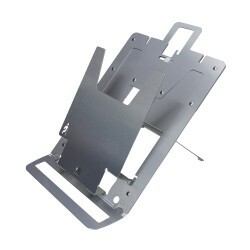 Q: Will the laptop stand fit any sized laptop? 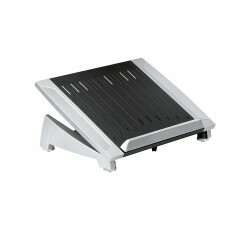 A: Most are designed to best fit standard sized laptops (15.4’ or smaller). 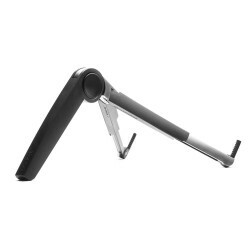 Several are suitable for larger laptops (up to 17’). 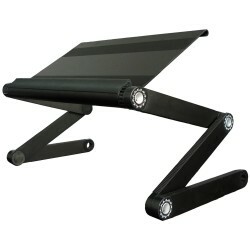 Q: Won’t it be a pain to carry a laptop stand around wherever I go? 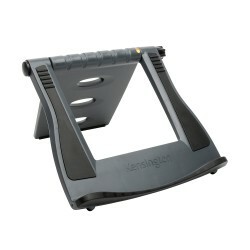 A: Most of our laptop stands fold to a compact size and are very lightweight. Check individual models for details. 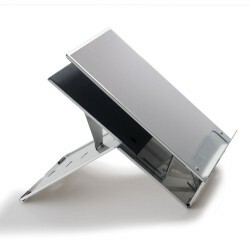 Q: How thin will the laptop stand fold flat? A: This will depend on the model. Some fold as thin as 3mm. Others are around 10mm. 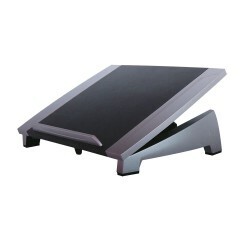 Q: Won’t a laptop stand cause a laptop to overheat? 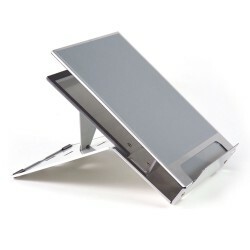 A: Our laptop stands are designed to accommodate this through the materials they are built from, and air vents or slim-line profiles that allow the laptop to cool at ends. 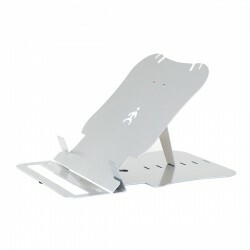 Order your laptop stand online today!